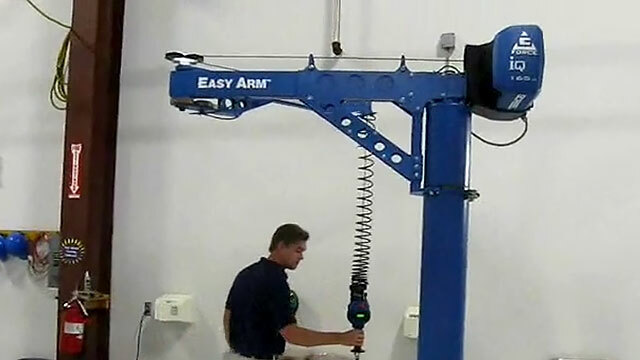 Demonstration of the Easy Arm intelligent articulating jib crane showing basic functionality and ease of load movement and placement. We setup and configured this Gorbel PIVOT PRO articulating jib crane with a JumboFlex vacuum lifter to palletize boxes. This under hung Easy Arm was installed to service several work cells. 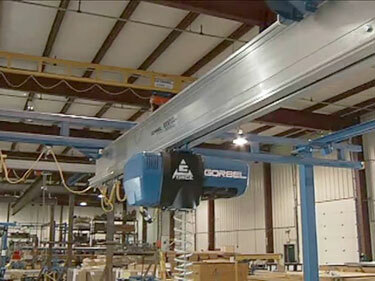 It's mounted to a free standing Gorbel overhead bridge crane with motorized trolley. 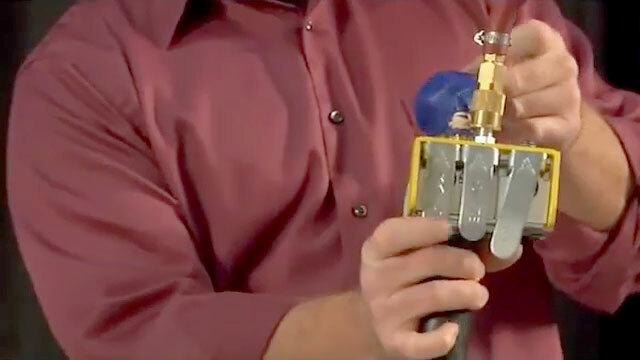 An overview of the three different types of force sensing handle configurations for the Gorbel G-Force smart lifting device. 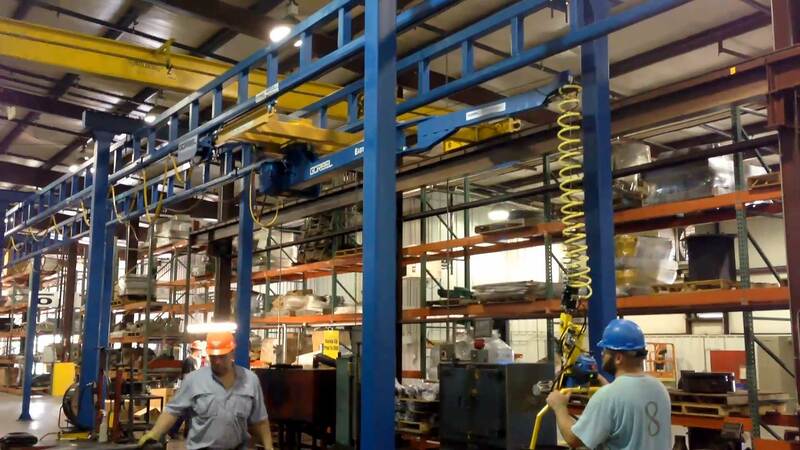 This articulating jib crane is specifically designed for vacuum tube lifters. 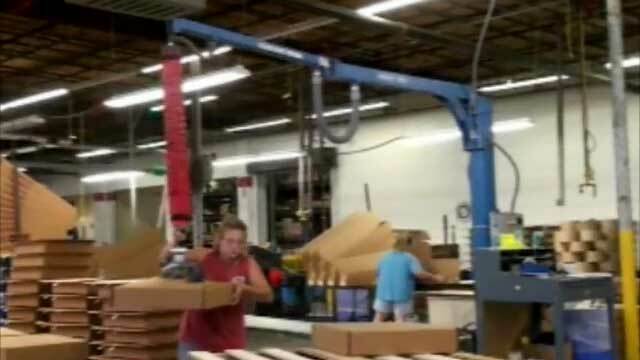 The jibs boom arms act as a chamber for providing vacuum pressure. 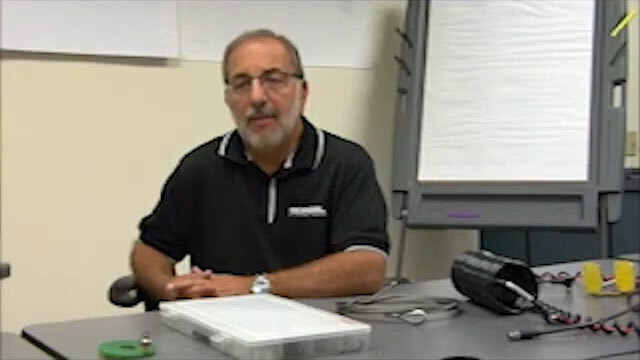 How to setup the force sensing handle for Ergonomic Partners custom lifting tools and devices. 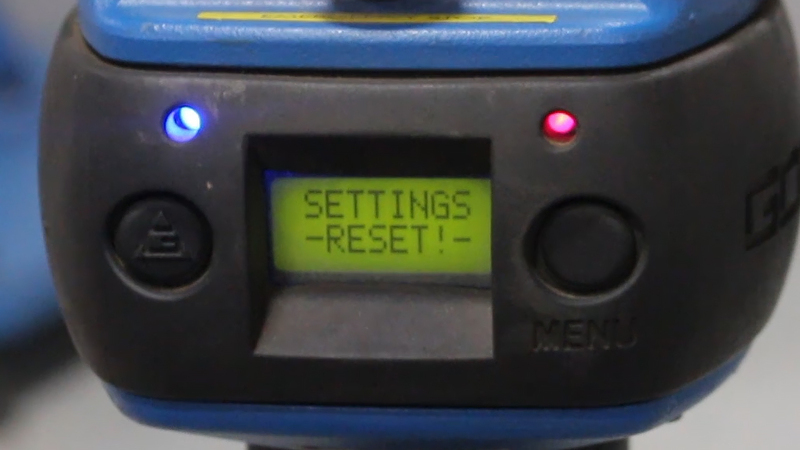 How to reset the Gorbel G-Force or Easy Arm smart lifting hoist to its factory default settings. 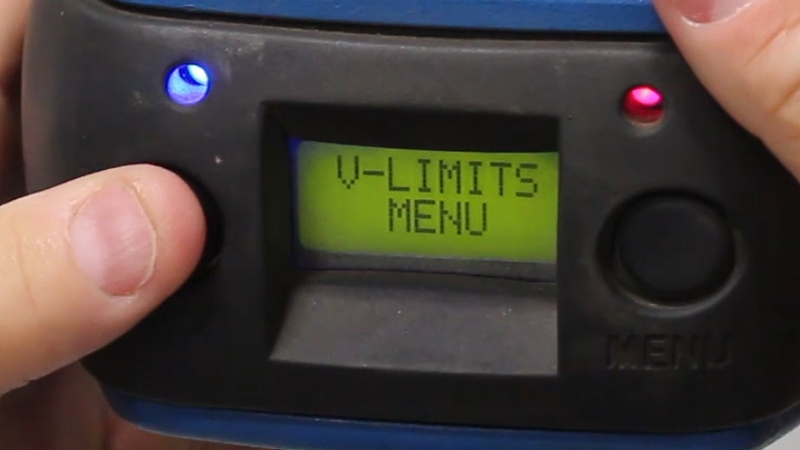 How to reset the virtual limits on a Gorbel G-Force or Easy Arm smart lifting hoist. 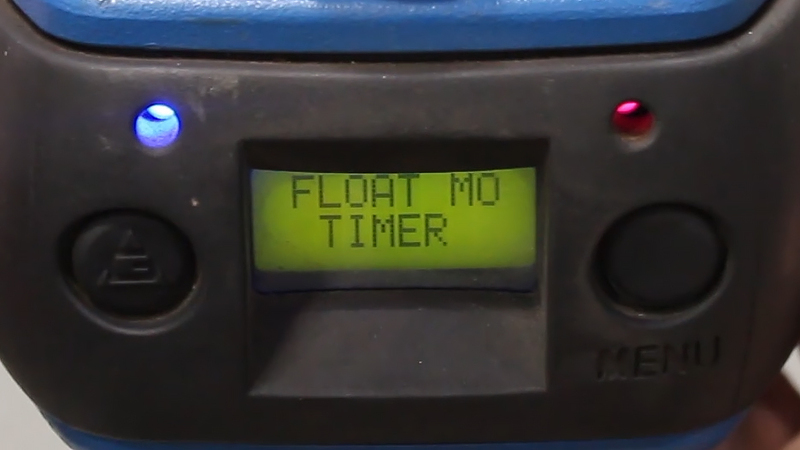 How to configure and set the Gorbel G-Force hoist float mode auto shut-off. 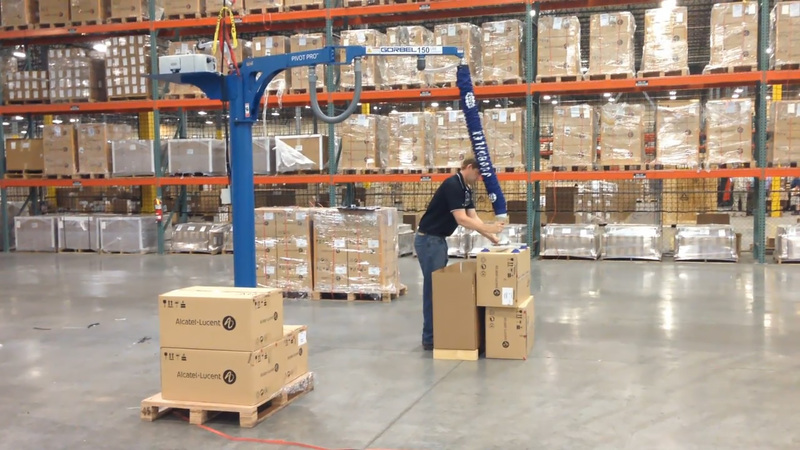 Overview of Gorbel's intelligent lifting devices featuring the Gorbel G-Force and Easy Arm. 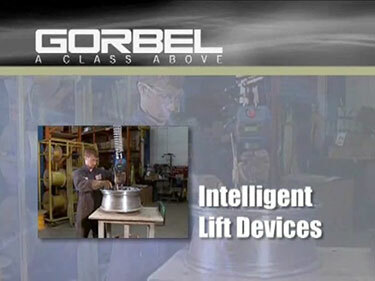 Full feature overview of Gorbel's intelligent lifting device featuring the Gorbel G-Force. 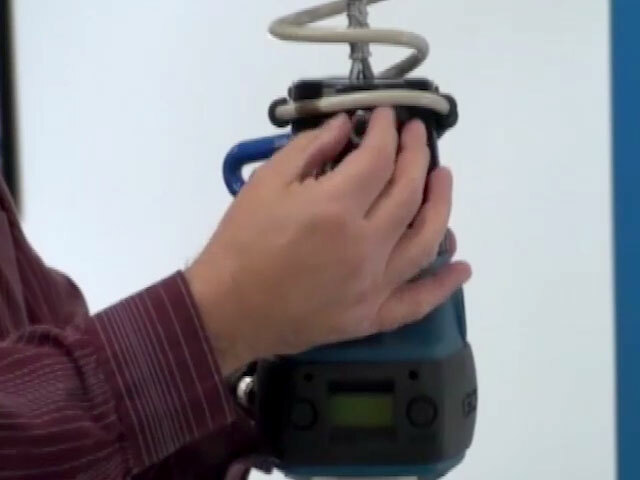 Video of the handle component features of Gorbel's G-Force intelligent lifting device. 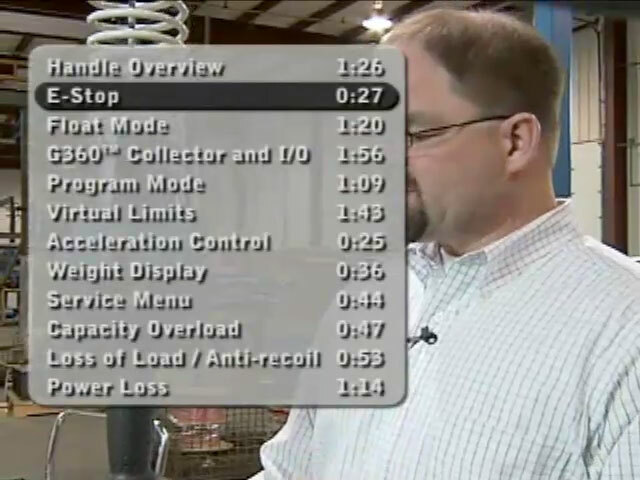 Up close look at the E-Stop feature of Gorbel's G-Force intelligent lifting device. 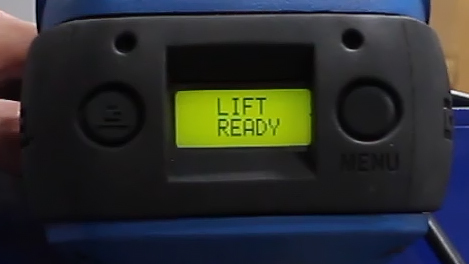 Detailed look at the float mode feature of Gorbel's G-Force intelligent lifting device. 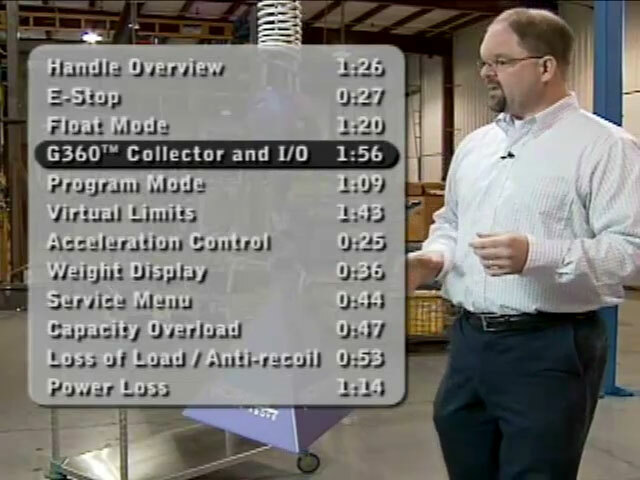 Explanation of the G360 Collector and I/O feature of Gorbel's G-Force intelligent lifting device. 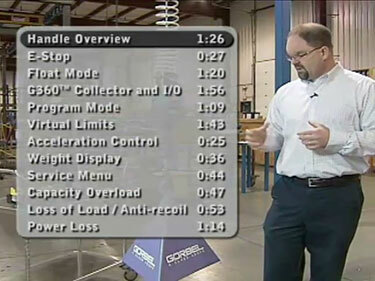 Review of the Program Mode feature of Gorbel's G-Force intelligent lifting device. 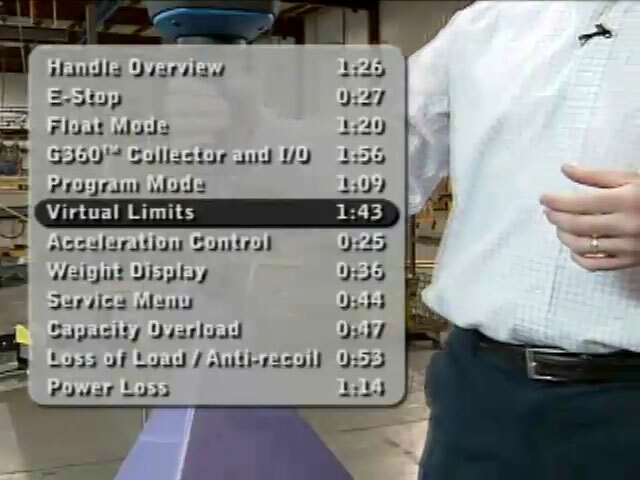 Demonstration of the Virtual Limits feature of Gorbel's G-Force intelligent lifting device. 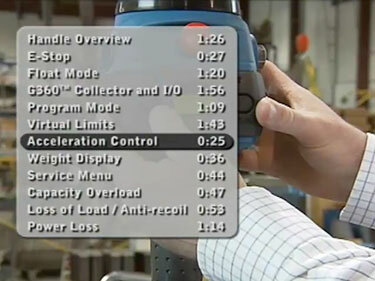 Up close look at the Acceleration Control feature of Gorbel's G-Force intelligent lifting device. 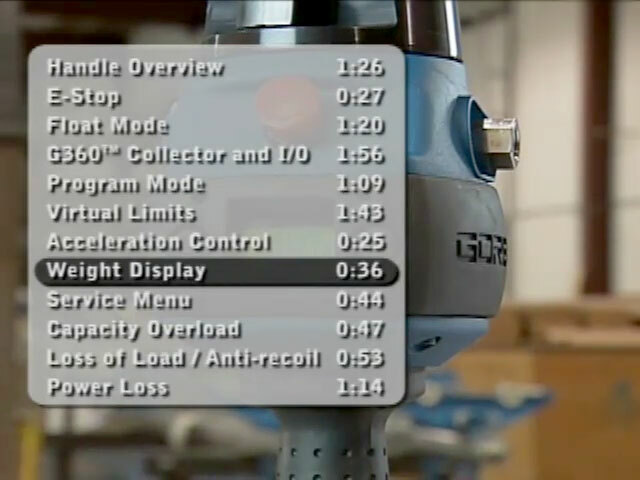 Details of the weight display feature of Gorbel's G-Force intelligent lifting device. 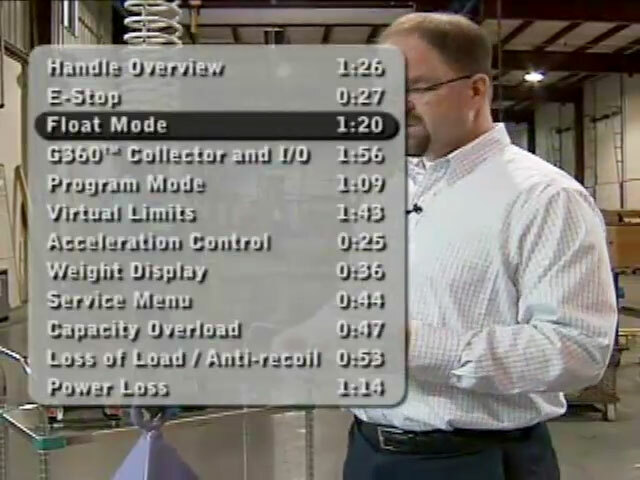 Explanation of the Service Menu feature of Gorbel's G-Force intelligent lifting device. 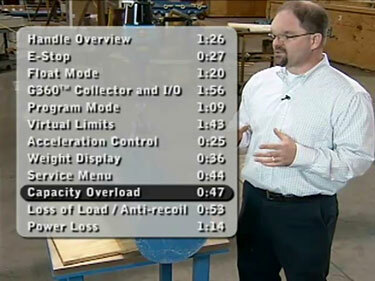 Capacity overload safety feature of Gorbel's G-Force intelligent lifting device. 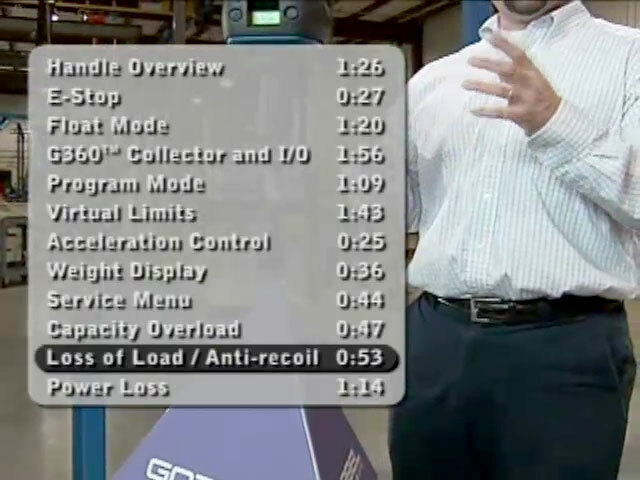 Loss of Load and Anti-Recoil safety feature of Gorbel's G-Force intelligent lifting device. 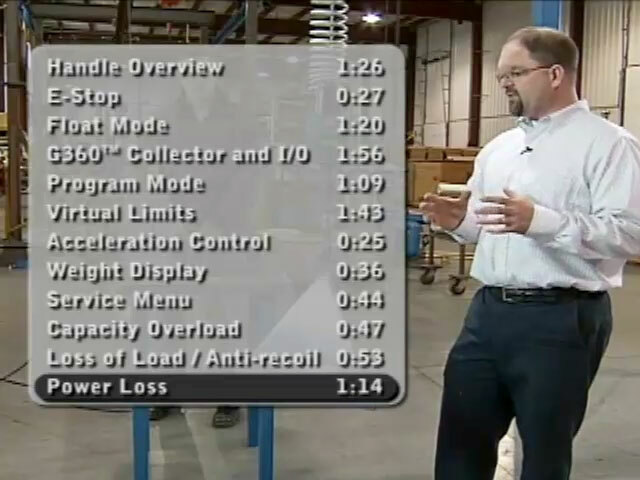 Power loss safety feature of Gorbel's G-Force intelligent lifting device. 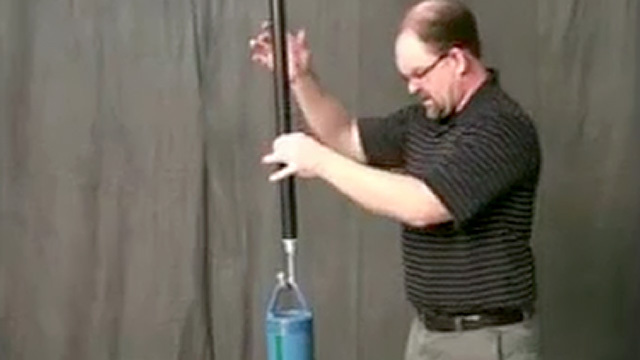 Video showing how to perform maintenance on the Gorbel G-Force Intelligent Lifting Device Handle. 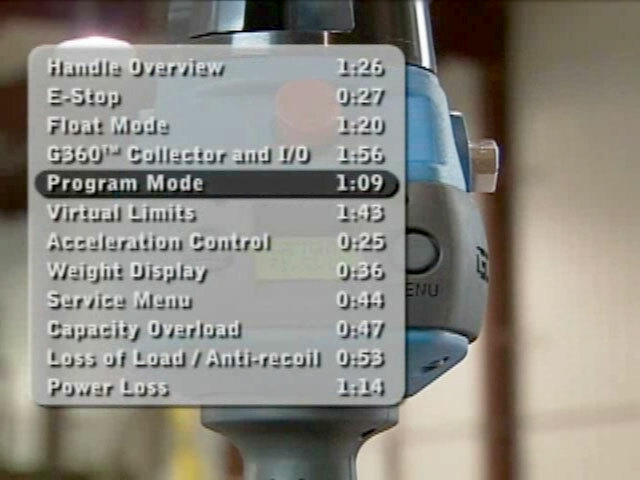 Overview of the Gorbel Universal Pneumatic Pendant Handles used with any air device, including pneumatic balancers, hoists, end effectors. 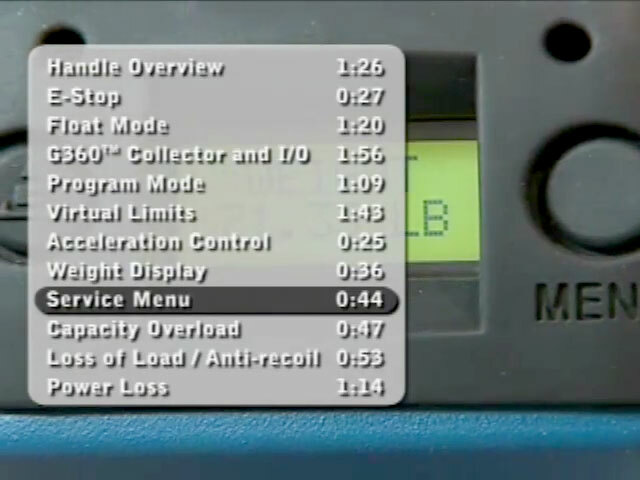 Overview of the Gorbel G-Force and Easy Arm spare parts kits and the various kit levels.